Stress is a normal and foreseeable part of the job search process. During this time, the job seeker is going through a time of change. They are transitioning from something familiar to something unknown. The unknown could be anything from unemployment, college or even caring for children. The job search process could potentially lead to numerous opportunities or rewards. During the job search process, stress is created by many different ways and avenues. Some of these may be financial uncertainty, more demand on time, routine changes and even anxiety about ones future. Job search stress can’t be avoided however it can be managed through an array of techniques. Review the following techniques and actively utilize them during your job search to reduce the negative effects of stress. Regular exercise is one of the most essential steps in managing stress. Habitual exercise can increase your energy, enhance your sense of well being, ensure relaxation, contribute to better sleep patterns and encourage weight management. By choosing a regular exercise routine it will give you a sense of control during a time of uncertainty. Exercise will also contribute to a healthy and dynamic appearance during your job search, especially when you want to look your best. Talk to family and friends and share your concerns, plans and goals. Listen to others as this is also an uncertain time for them. Take note of their thoughts and suggestions. In addition to a support system of friends and family, many on the job search find it useful to participate in a job search support group. Others in similar life circumstances can often be very understanding of your experiences and beneficial to talk with. A support group offers many opportunities for social interaction. It gives yon a chance to express a range of emotions and a place to relax with others that are in similar situations. Support groups can be found through local places of worship, One-stop Career Centers and libraries to name a few. Ensure you eat a balanced diet. Your health and well-being is affected by your eating habits. When you place additional time demands and change in routines, it often leads to snacking on junk food, eating at irregular times or even skipping or forgetting meals. Make sure you plan time regular and balanced meals, to ensure you will feel and look good during your job search. Prioritize your tasks and your goals will be more effectively accomplished if you keep to a regular schedule. It’s essential to incorporate a routine which includes job searching steps, stress management techniques and plenty of family and down time. This should give you a sense of balance and accomplishment. A lack of control is one of the biggest stressors during a job search. By establishing and maintaining a routine it will give you a sense of control over your time. An effective job search takes time and can be a full time job in itself. It’s important to organize your time to meet the demands of your job search. It’s important in order to stay healthy to create time for relaxation, exercise, balanced meals, social interaction and family needs. Remember that everything can’t be accomplished at once and that setting priorities will assist you with prioritizing your time realistically. You don’t want time demands to become overwhelming. Start off making a list of steps in your job search which need to be accomplished and other tasks which require your time. Decide which tasks are most imperative and distribute your time accordingly. Include and incorporate time for your stress management techniques. Only you have the ability to make your career and your life satisfying. Decide what your needs are, and what you want to do. Then take those specific steps that are necessary to accomplish your goals. The more steps you choose and the more sense of control you will have over your directions and your life! Remember that job hunting is and can be extremely stressful. Ensure you allocate time to actively manage the stress rather than waiting for stress to have negative effects on you and your health. Taking the time to manage stress is important. If stress is not managed, it can lead to a variety of symptoms such as high blood pressure, anxiety, depression and many others issues. Make time for you! Laughter is a great cure to stress and conflict. Bring your mind and body back into balance with a good laugh. Humor tends to lighten your burdens and inspires hope. It also connects you with others and keeps you focused. The ability to laugh and joke easily is a tremendous resource and enhances your relationships and supports both emotional and physical health. Relaxation techniques can aid with managing stress. Simply begin with exercises such as sitting in a chair, breathing deeply and visualizing the tension leaving your body. 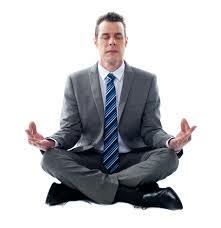 Other forms of relaxation, such as yoga, listening to relaxation tapes or doing meditative exercises, can help you to release the tension that accumulates in your body and mind during the job search process. So there you have it, ways to create a healthy and balanced lifestyle by actively using stress management techniques not only will enhance your job search process, but it can have lasting positive effects throughout your life!